August is now half over, and in Merrimack Valley, people know that cooler weather isn’t too far away. As the leaves begin to change over the next couple of months, residents will begin preparing for winter, and that means making sure your furnace is in good working order. If you’ve been thinking about replacing your heating system for some time, why not take the opportunity to do it now instead of waiting until November or December arrives? At Lamco Systems, we can help you choose the best solution for your home. One of the main reasons homeowners decide to replace their furnace is because they’re tired of watching their heating bill get more expensive each year. Their old system has to work harder to keep up with demands each winter, and costly breakdowns can make it hard to adequately heat their house each season. 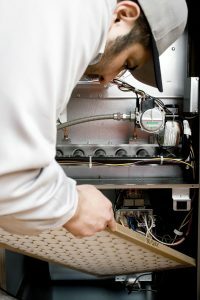 When one compares what it costs to constantly repair their furnace with the cost of a new, energy-efficient appliance, the new option often comes out as the more affordable choice. We’ll gladly work with you on choosing the right option for your home, and our experienced team will install your new system before the first snow flies. Not only is the end of summer a great time to replace your heating system, it’s also a good time for an overhaul to your home’s entire HVAC setup. If you’re concerned about air quality, such as pollutants in your ductwork, we can perform an indoor air quality inspection and make sure everything is good to go. We can also check your ductwork for leaks, since leaky ducts can lead to decreased heating efficiency, especially during those frigid days of December and January. 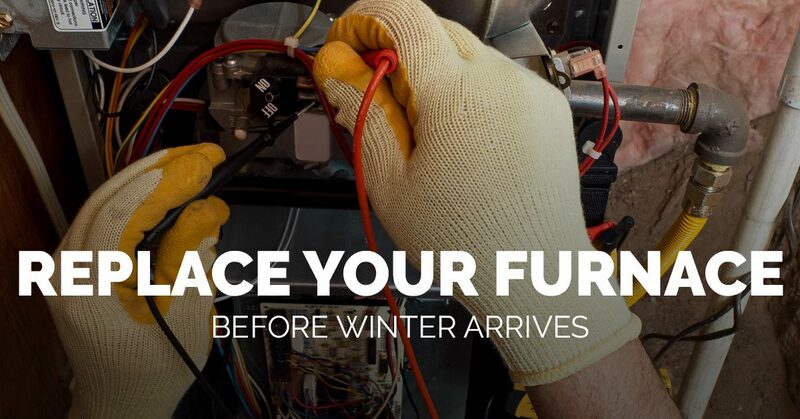 It can also be a good idea to replace your thermostat at the same time, especially if you’ve noticed that it doesn’t always read the proper temperature or you can’t seem to set it exactly where you want it. Smart and learning thermostats are becoming more and more popular, and we know that you’ll be amazed at how precise your temperature control can be! You’ll also have the ability to control your home’s climate from wherever you are, so if you forget to adjust the temp before you leave for work, you can do so from your smartphone. At Lamco, we understand that you have specific heating needs each winter, and we want to do whatever we can to meet those needs. We will work with you to find the best options at the best prices, and we always strive to offer exceptional service. We know that you want an HVAC service company that is honest and hardworking, and we’re always here when you need us. 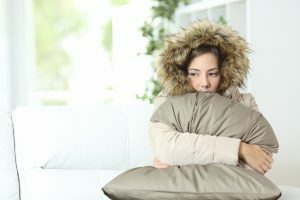 We offer 24-hour emergency service, so if something goes wrong at 2:00am and your furnace suddenly shuts off, we’ll be there to fix the issue as quickly as possible. Call us today at (978) 674-8837, or fill out the form below.